It’s nearly Thanksgiving and we’re grateful for fun projects, amazing partners, and the opportunity to help strengthen communities. We’ve had the privilege to work on two recent program evaluations to help nonprofit clients assess service outcomes, refine strategy, and identify opportunities to increase programmatic impact. We’re also glad to be partnering with Public School to offer strategic planning training for City agencies, and to have participated in the Cities for Financial Empowerment Fund’s Summer Jobs Connect Convening to discuss strategies for helping youth in summer employment programs build financial habits to prepare for long-term financial success. We evaluate programs and strategies to drive organizational health and increased impact. We recently completed an effort with the Osborne Association, to update their workforce organizational structure and develop new programmatic tools for a sector-based strategy. Osborne has served currently and formerly incarcerated individuals and their families for over 80 years, and sought to enhance its sectoral employment strategy to connect more clients with meaningful, sustainable employment. We conducted an assessment and provided a set of recommendations to support employer engagement and improve the coordination of job seeker supports across different programs within Osborne. We applied design thinking methods and worked closely with various levels of staff to develop program workflows, standard operating procedures for front-line staff, a resourcing structure, and other tools to position the Osborne team to manage employer relationships and serve clients in a sector-based strategy. 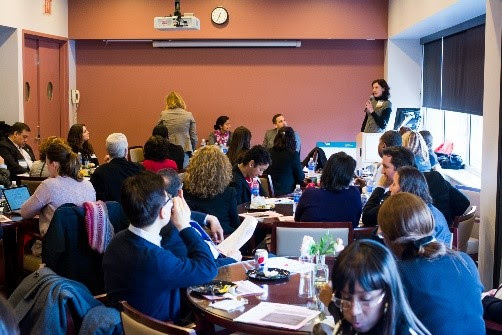 We’ve just begun working with Lincoln Center Education to evaluate its Scholars Program, a teacher training model that educates and places art teachers in New York City public schools. We’re working closely with current Scholars and alumni, program partners, and public school stakeholders to gain a nuanced understanding of the program components that drive success. By pairing quantitative and qualitative analysis, we are supporting LCE to measure outcomes and identify strategies for enhancing Scholars’ training as well as the impact they have through their school placements and ongoing careers in arts education. We had a blast at the first-ever Summer Jobs Connect Convening, exploring best practices for incorporating financial empowerment into youth programming. Last week, we joined our colleagues from the Cities for Financial Empowerment Fund and youth-focused service providers from across the country for the Summer Jobs Connect Convening. Summer Jobs Connect is a national initiative that integrates safe banking products, services, and education for young adults participating in municipally-led summer employment programs. Principal Celeste Frye had the opportunity to present our research on how SJC participants perceive mainstream financial services and plan to use them, including findings from surveying 3,200 program participants and conducting focus groups in eight partner cities. 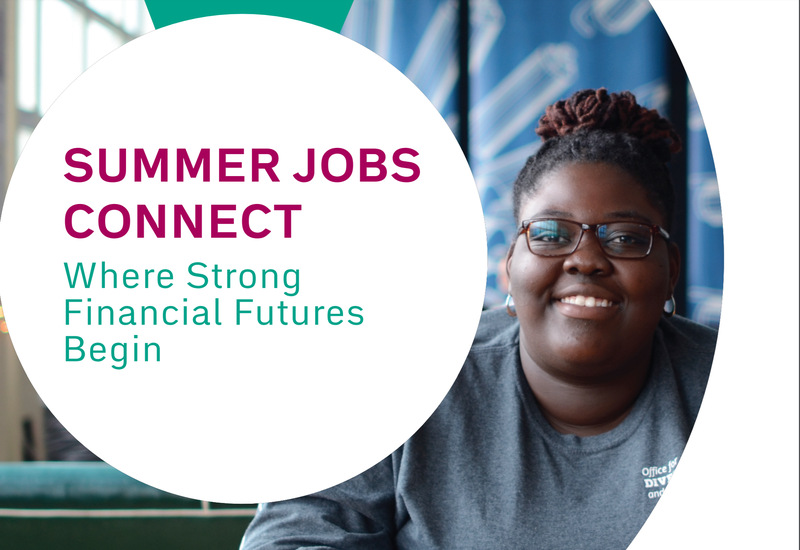 The results of our analysis are also featured in CFE’s newly released report Summer Jobs Connect: Where Strong Financial Futures Begin. Take a look to learn more about ways service providers and government agencies can most effectively make banking products available through summer youth employment programming to help youth learn how to budget and save, and start on a path for long-term financial stability. We’re offering a new strategic planning training for City agencies. Been thinking about starting the new year with a fresh strategic plan, but not sure where to get started? We’ve recently launched a training with Public School that will give your team the tools to set a vision, align activities to achieve that vision, and establish an implementation plan. Learn more and contact us to see how our training could support your agency.